Like all mediums, Free-Standing Inserts (FSIs) can be enormously effective for driving Purchase and other Calls-to-Action, but only when the creative is strong. Today we'll look at some of the best and worst of thousands of FSIs benchmarked by the largest syndicated research database of measured ads in the world. If you'd like insights on great creative in other mediums, see our resources page, "Integrated Marketing in All Media Types." A recent ABX Advisory post provided "Four Characteristics of Great Print Ads" that also apply to FSIs, such as having a clear benefit in the headline, conveying a singular message, using a primary illustration and providing obvious branding. 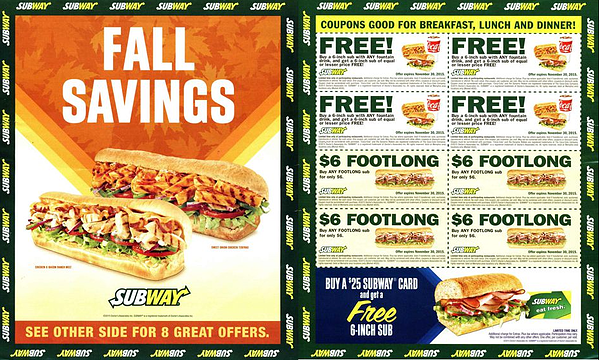 But FSIs have other challenges, since often they have to balance their message against the need to show multiple products, text, and coupons. 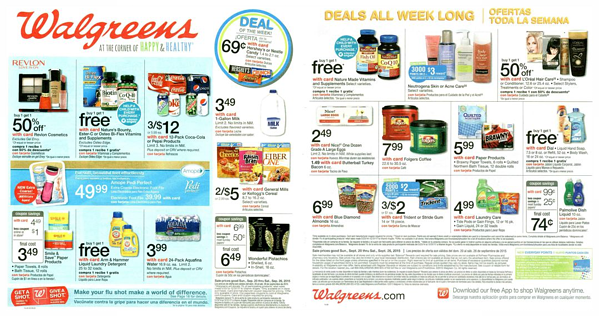 Far from just another cluttered ad, Walgreens shows a limited assortment of well-photographed, clear items in both English and Spanish, with clear pricing and calls to action (deals all week long). See Scorecard below for scores well above the ABX advertising effectiveness Index average of 100. Reputation alone is +150% above the norm. It is too easy to just put items and prices into a grid...but with so much product and clutter, readers didn't know where to start. 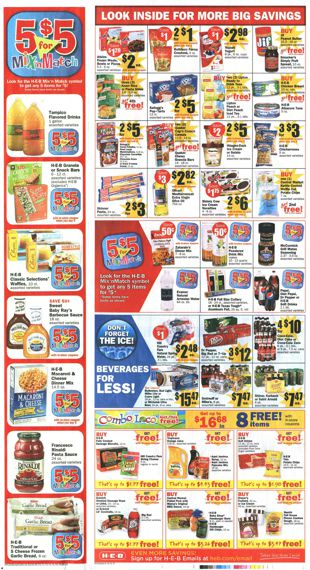 The branding was almost invisible (Awareness -66% against norm)...would you know which store to shop at for these items? Message was unclear (-31%), Reputation was harmed (-81%), and Action was down (-46%). Yet this style of FSI is all too common! 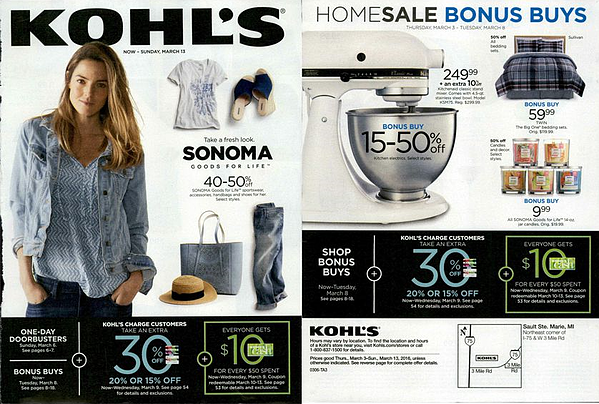 Looking at the individual KPIs, Kohl's took top place in Awareness with it's super-strong branding in this clean, clear, well-illustrated FSI. While Action wasn't as strong as Kohl's may have hoped (+16%), the FSI impacted Reputation very positively (+43%). Lucious photography in a dominant image, coupons with clear photos and pricing, and reasonably good branding throughout drove the highest score for Understanding (which is part of the Message score below). High Reputation (+86%) and Action (+57%) scores predict strong sales from this effort. Evaluators loved this ad, scoring Reputation as +97% over norm. 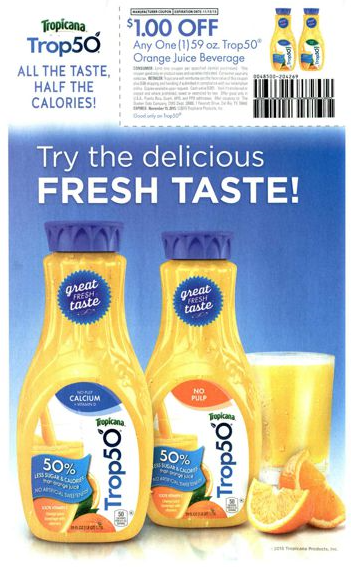 Strong, clear photography, a singular coupon and healthy message (+38%) makes this a winning FSI. Last, but not least, is this Subway ad. 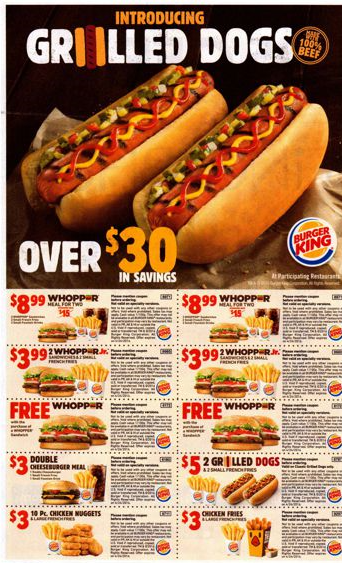 Good photography, branding and almost irrestible coupons carry the highest score of the FSI's evaluated with Purchase at +196% (not shown, but which is part of the Action score). For FSIs, it would seem less is more, high-quality photography is worth every penny, clarity of offer is critical, and strong branding is equally important. Make sure your FSI doesn't get thrown away without a fair assessment! Next up in this series on Advertising Effectiveness: What Makes Great Outdoor.